Mission Creek Corrections Center for Women and Monroe Correctional Complex are two examples of correctional facilities that provide incarcerated individuals an incentive program to work with the training and socialization of kittens. The facilities partner with local animal shelters who provide kittens to their respective programs. “PAWsitive Prison Project,” the program at Mission Creek, partners with Kitsap Humane Society and despite the partnership being only four years old, they have adopted out 291 kittens. Kitsap Humane Society is an independent, nonprofit organization committed to providing positive life changing solutions to people and animals in need. Purrfect Pals partners with Monroe’s “Kitten Connection” program. 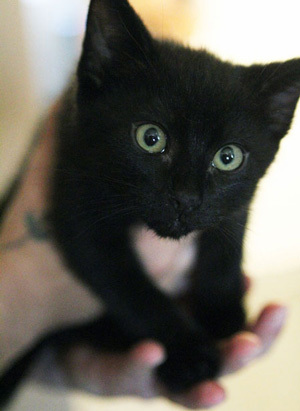 Since the inception of the partnership in 2006, 799 kittens have found their forever homes. Purrfect Pals is a private, non-profit, no-kill shelter located in Arlington, WA. Programs like these are necessary to one of the Department of Correction’s key values, believing in people’s ability to grow and change. These programs benefit local communities, teach responsibility and a new skill to incarcerated individuals, and provide an incentive to maintain positive behavior while incarcerated.